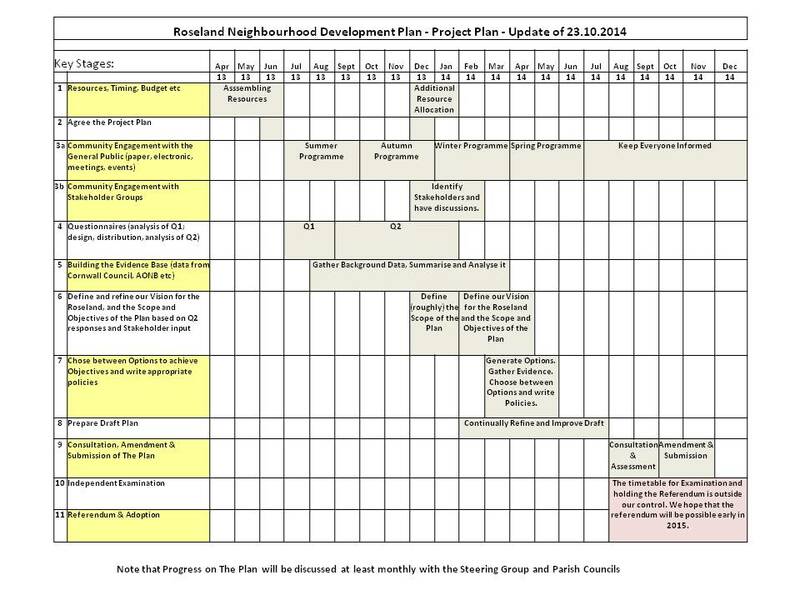 The Project Plan is a living document which has been updated whenever necessary to enable us to achieve our goal of getting The Roseland Plan 'over the line', ie accepted as a statutory legal framework for our area. The diagram below gives a simple overview of key activities. Each activity listed on this diagram was backed up by a much more detailed project plan of its own.